We had a very Mad Men afternoon yesterday. 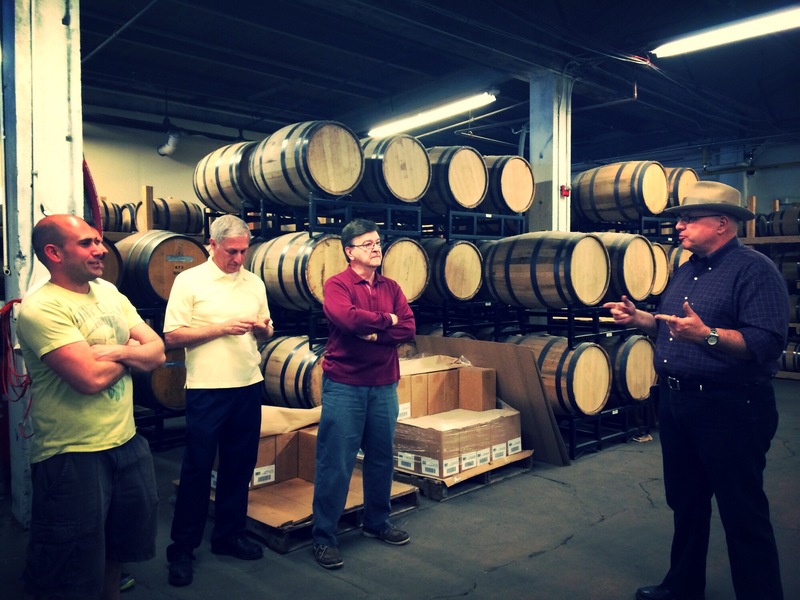 My sister and her dude joined us for a tour and tasting of a local PA Rye distillery. Aren’t we so folksy and interesting? 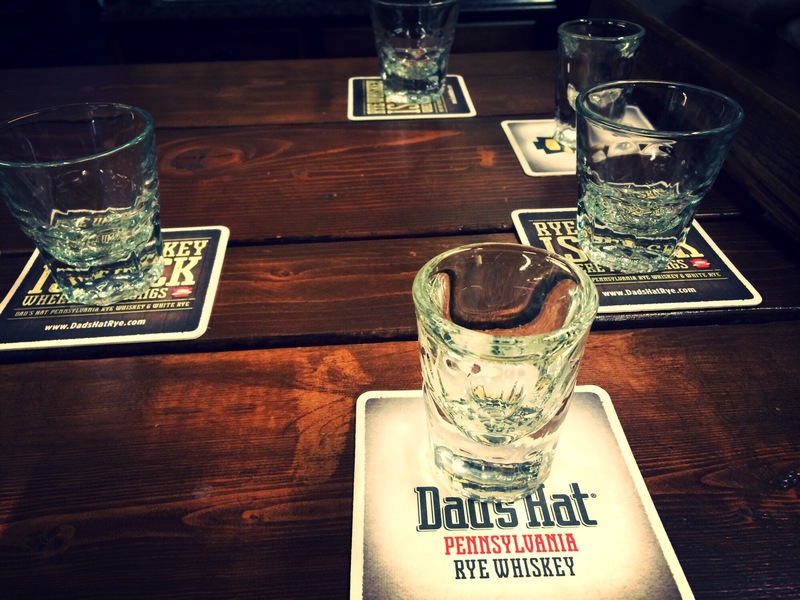 Dad’s Hat is a local, hand crafted whiskey…err…rye. Rye Whiskey? Something like that. What I know for sure is that it isn’t a bourbon. Or is it a bourbon and not a Whiskey? At the end of the tour we sampled 3 of their whiskeys. A white, a light brown and a deep dark brown. We heard about the hints of vanilla and pepper we’d feel on the sides of our tongue. 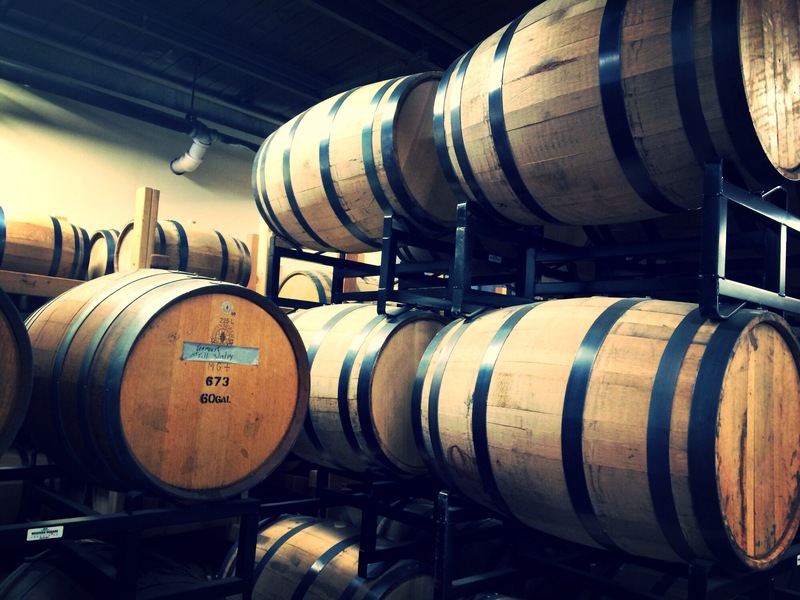 We heard about the vermouth barrels that imparted just the right flavor to their product – smell that dry sweetness they said. We all nodded and agreed. Admittedly, it was a bit rough going down. But I got caught up in the moment. They told us the best way to enjoy the whiskey was with one perfect ice cube and maybe a twist of orange rind. I had visions of having this classic cocktail. I felt chic already. We bought a bottle of the dark vermouth version – stopped at Wawa to get an orange and a bag of ice and headed home. We made ourselves a drink and sat in the sun. I took a sip and smelled the orange and the vermouth and the lovely notes of vanilla and quickly decided – I like wine. But it was a really fun day. Here’s some shots I took. The man in the hat is Herman, the founder of the place. He wears a hat like his dad. Get it?